At Dogtopia of Carriage Crossing, your pup can look forward to a fun-filled day with other dogs and our team. They will burn off the extra energy while enjoying hours of exercise and socialization. 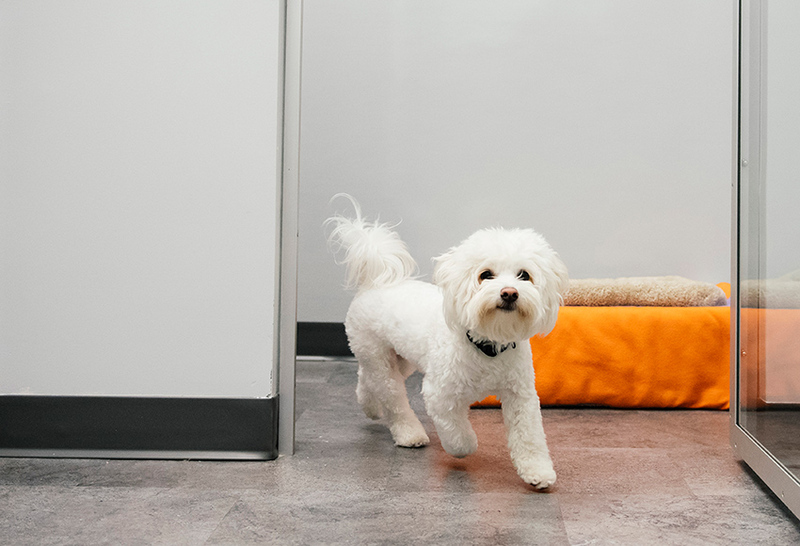 Your pup will spend the day with furry friends of a similar size, temperament and play style to ensure every doggie guest has a safe and comfortable visit. 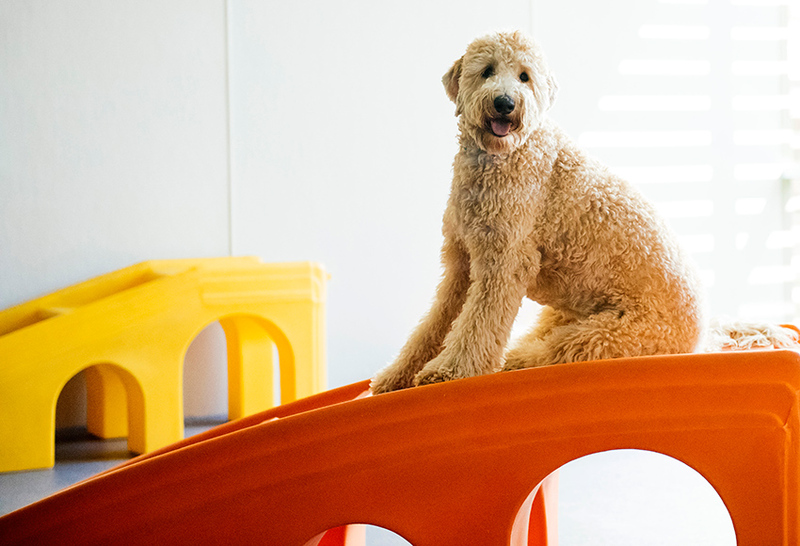 Our open-play, off-leash setting will give your dog the freedom to play as much as they like (with plenty of opportunities for naps or downtime). You can always check in on your furry family member throughout the day via our live webcams. Our doggie daycare services in Collierville can be customized according to your requirements, as we offer both full-day and half-day daycare. 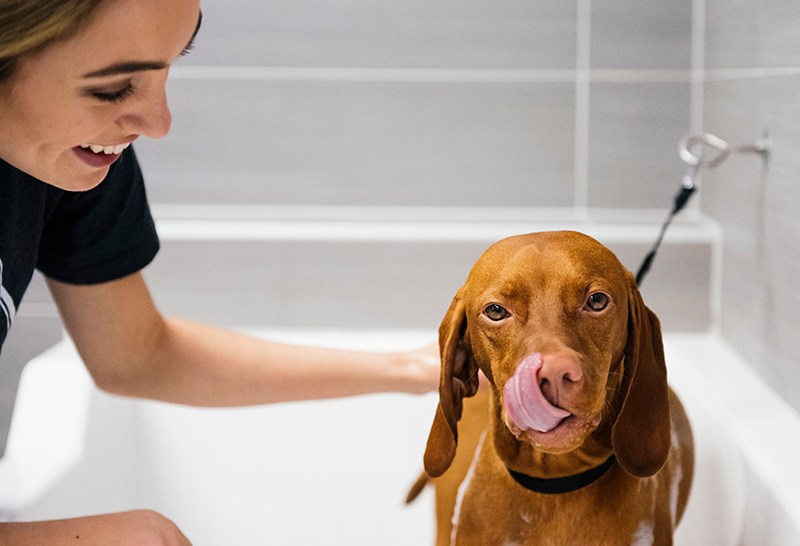 Whether you need to leave your dog for a couple of hours or for the entire day, our team will help you to pick the daycare package that suits your needs. 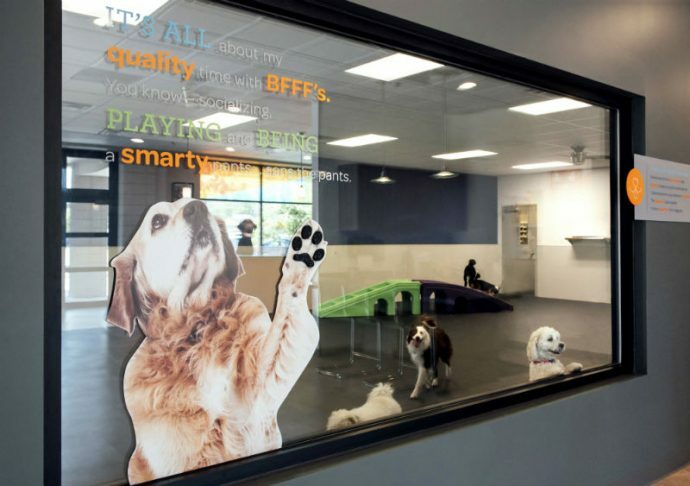 Doggie daycare should be more than just a place to leave your pup when you can’t be with them. Dogs thrive in a structured environment where they can socialize with others, learn new things, stay active and have fun. 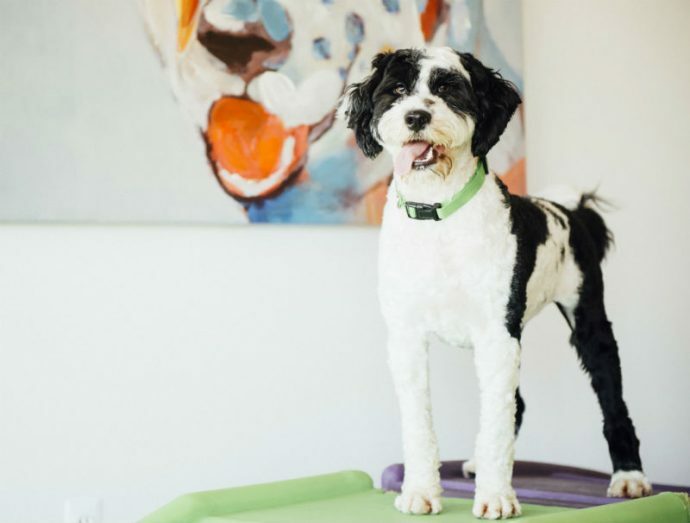 Our doggie daycare provides pet parents with more than just an alternative to leaving their pup home alone. Under the close supervision of our certified Canine Coaches, they will develop valuable skills, including learning how to behave around humans and other dogs. We’ve seen amazing growth from dogs who have experienced the benefits of daycare and socialization at our facility in Collierville. Often pups come in stressed and don’t know how to play with other dogs. But our patient and friendly team teaches them valuable socialization skills, and they always find at least one best furry friend every day they come here – one who matches their energy level and temperament. The pack also teaches each other what is appropriate play and what is rude. They will correct each other and reinforce polite boundaries. This helps your pup become more confident in all kinds of new social environments, whether it’s at the dog park or the shopping center. We love to see these positive transitions and how happy it makes our pet parents! 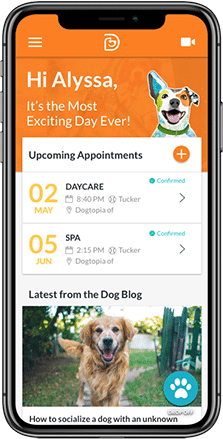 WHY CHOOSE DOGTOPIA OF CARRIAGE CROSSING? Dogtopia of Carriage Crossing is very different from any other provider in the greater Memphis area. We’re the only place that provides up to 10 hours of open play in separated rooms, with floor-to-ceilings walls for reduced noise, separate UV-protected HVAC systems in each room to maintain comfort and sterilize bad bacteria, rubberized floors for warmth and joint safety, hypoallergenic turf for mud-free and sneeze-free outside playtime, the convenience of curbside drop-off and pickup, a location with easy access from Interstate 385, and 6:30am-7:30 pm weekday hours. A vow to treat your dog like a member of the family! Our certified Canine Coaches are trained to manage and educate dogs of all breeds. They can detect dog body language with expertise and use the right approach to handle all situations. We’ll also offer you tips for how you can replicate our positive reinforcement methods at home. Our customers come back because we’re like family. It’s more than a business to everybody that works here. We know our pet parents want someone to take care of their dogs as if they were their own. 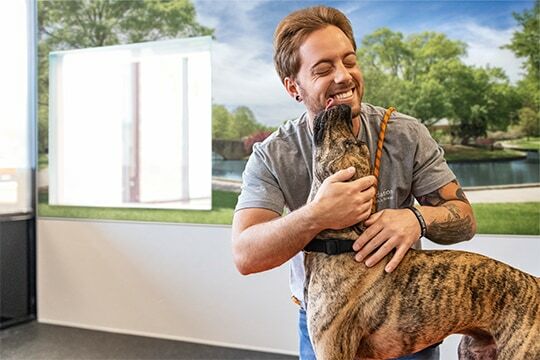 Our Canine Coaches interact with our guests instead of just watching them; we enjoy hanging out with them and look forward to coming into work every day. Sometimes a customer might not see their dog on the webcams – that’s because our front-desk employee wanted to visit with and love on him. To find out more, please fill out our contact form or book your Meet & Greet today!